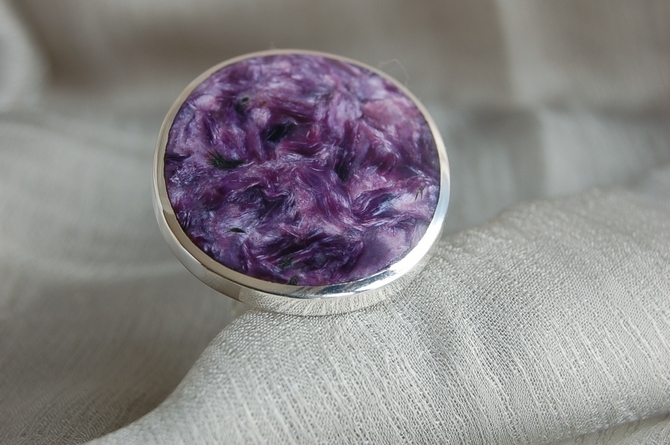 Silver and Natural Stones Collections This is a unique Charoite Silver Ring produced by GsS. It features a double joining band for total comfort. Product details: This product is made of 925 polished silver. The diameter of this ring is approx. 18.5mm or a UK Ring Size "R" ring. The product dimensions are approx 40mm * 36mm The product weight is approx. 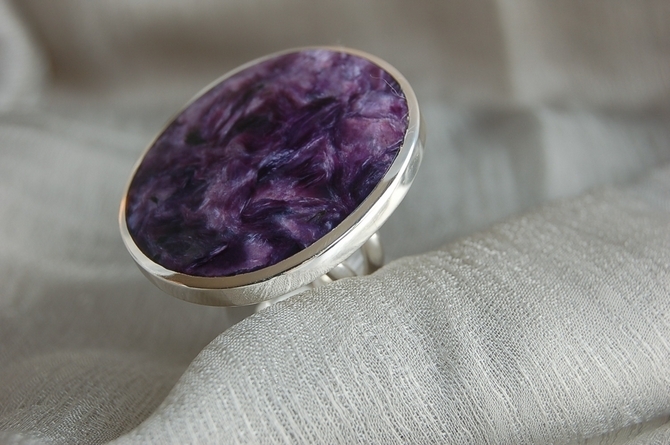 28.3 grams About the stone: The colors in each piece of Charoite range from bright lavender, violet and lilac to dark purple with both white, gray and black veining. It forms a swirling pattern of interlocking crystals. Charoite is an unsual mineral and of rare occurence. It forms from alteration of limestones by the close presences of an alkali-rich nephline syenite intrusion. The heat, pressure and more importantly, the infusion of unique chemicals into the rock is responsible for the transformations into new minerals such as charoite. Charoite is named after the nearby Charo River.The Russians first discovered charoite in 1947 in the Murun mountains in Yakutia, but it was not known in the West until 1978. 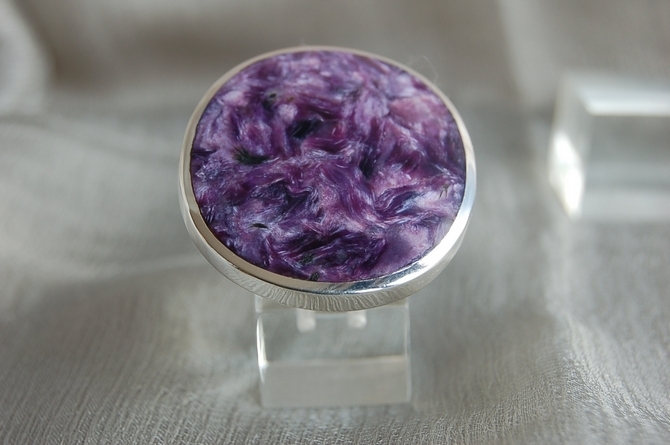 Charoite is used as an ornamental stone and as a gemstone.